Parenting is a really tough job. We always joke that kids do not come with instructional manuals or power switches--so moms and dads spend multiple shifts per day on the tasks of parenting. Sometimes during those late night shifts--or early morning shifts...or even in between...it's easy for parents to lose sight of what matters most in their most important roles. 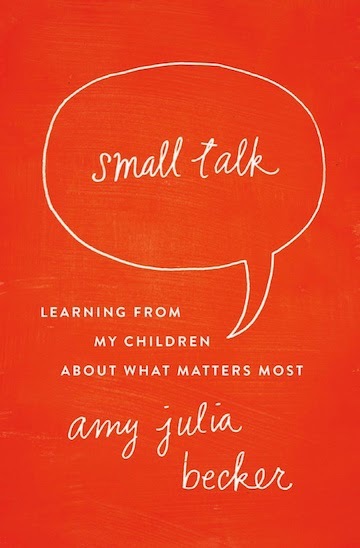 Small Talk by author Amy Julia Becker sheds some light on learning what matters most from some pretty good teachers: her children. I am excited to share my review of Becker's book with you--and offer you the opportunity to enter to win a copy of this book yourself! I received a complimentary copy of this book from the author via FlyBy Promotions. All opinions and experiences are my own. Quick Summary of Small Talk by Amy Julia Becker. Every day, one of Amy Julia Becker’s children says something that prompts her to think about life in a new way. 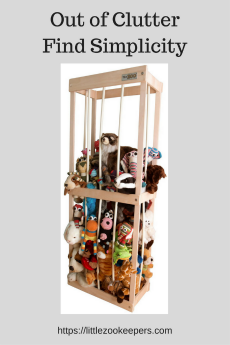 “Mom, does Santa love me?” William asks, after his mother explains the meaning of Christmas…In a chat with her dad about the children who died in the Sandy Hook shootings, Penny asks, “Did they go to heaven?” …”You was a jerk, Mommy?” asks Marilee one morning in the car. These conversations deepen Amy Julia’s relationships with her children, but they also refine her understanding of what she believes and what God is doing in her own life. In Small Talk, Amy Julia draws from the wisdom and curiosity of those young voices to reflect on beauty and kindness, tragedy and disability, prayer and miracles. As she moves through the basic questions her kids posed when they were very young to the more intellectual questions of later childhood, she invites us to learn from our own day-to-day conversations with the children in our lives. This eloquent parenting memoir is about the big questions little hearts ask, the thoughts their words provoke, and the laughter and soul-searching their honesty brings—to adult and child alike. Readers will love and appreciate Becker's honesty throughout Small Talk. We all have parenting fails. Some of us are overly critical and seem to feel that too many of our daily parenting moments teeter on the edge of disaster. As readers journey through Becker's memories of some notable interactions with her children; they will appreciate her honesty. She made mistakes. She made missteps. Her kids made mistakes. Her kids often made her realize the error(s) of her actions--and her kids gave her the incentives to refocus, reevaluate--and step up to the plate to apologize when situations warranted it. Small Talk helps readers refocus on the little things...which matter. I am as guilty as anyone of focusing on the big picture...or, at least, what I see as the big picture on a given day. Becker portrays her parenting with honesty as an evolving work in progress--not a perfected piece of art. It was refreshing to realize that I'm not the only one who needs to step back from a situation every now and then--and refocus. While much of the book focuses on Becker's faith--there is really as much of a focus on the simplistic views of children. It focuses a lot on the little things in our daily lives. The little things that we'll probably remember most in the future! Would I recommend Small Talk by Amy Julia Becker? Sometimes the answers to life's mysteries are not really all that complicated--but, they certainly are thought provoking. Becker recounts a number of ways in which her children helped her to ponder life's big questions (and the small ones too). There is no chronological order. No real pattern to Becker's memories--just valuable realizations in small moments. Becker speaks simply, honestly and thoughtfully about a variety of subjects and situations. Kids offer a lot of wisdom--and this book does a wonderful job reminding us to stop and engage in that ever important small talk with our little wise ones! 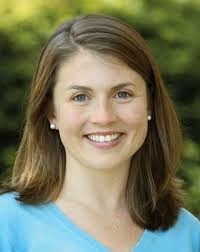 About the Author Amy Julia Becker writes about faith, family, and disability for Parents.com, the New York Times Motherlode blog, TheAtlantic.com, The Huffington Post parents page, Christianity Today, The Christian century, and numerous other publications. Her first book, A Good and Perfect Gift: Faith, Expectations, and a Little Girl Named Penny, was named one of the Top Ten Religion Books of 2011 by Publishers Weekly. 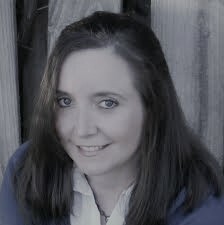 Amy Julia lives in western Connecticut with her husband and three children. I like to talk to them at bed time. But I also like to take them out to eat and talk one on one. My favorite time to talk to the kids is after dinner before they start their schoolwork. I only get to see my niece during the holidays, but I always make sure to spend some quality time with her to see what she is interested in and what she is doing. I have 8 children, so it is difficult to have one on one time. I just take advantage of opportunities when one comes to cuddle before bedtime. It is kind of spontaneous. i think this book will be very helpful everyday thank you.